Sterling silver three piece buckle set and 5 golf themed medallions. 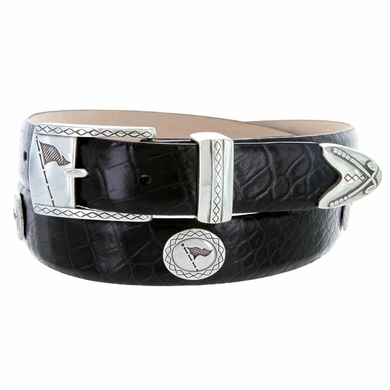 Golf flag accented buckle and etched loop set. 1 1/8" wide. Looks great in the office or on the golf course. Sizes Available from 32" thru 54".